*Halloween* Trick-or-Treat at Brookswood Plaza! 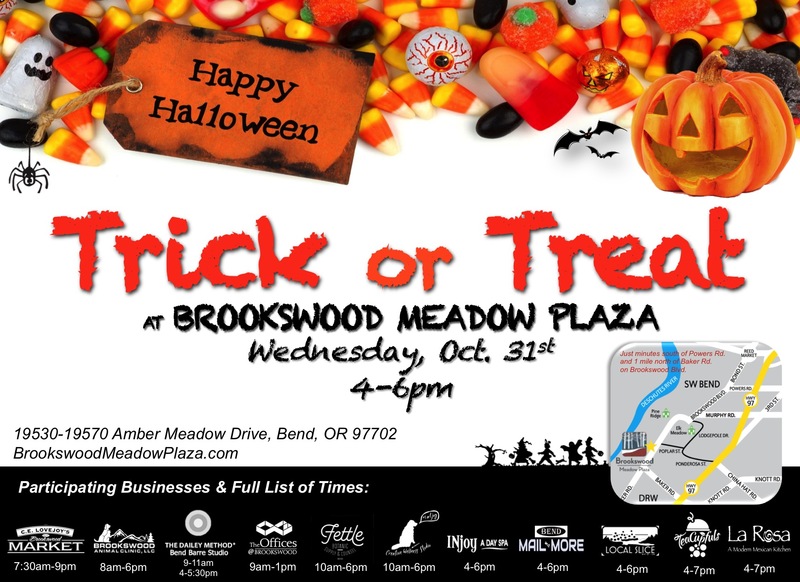 Trick-or-Treat at Brookswood Meadow Plaza on Halloween! Kids in costumes are invited to visit participating businesses during the day and into the evening for Halloween goodies. The peak time for treats will be 4-6pm! See the event poster for participating businesses and exact times. We’re looking forward to seeing your costumes and smiles on October 31st.